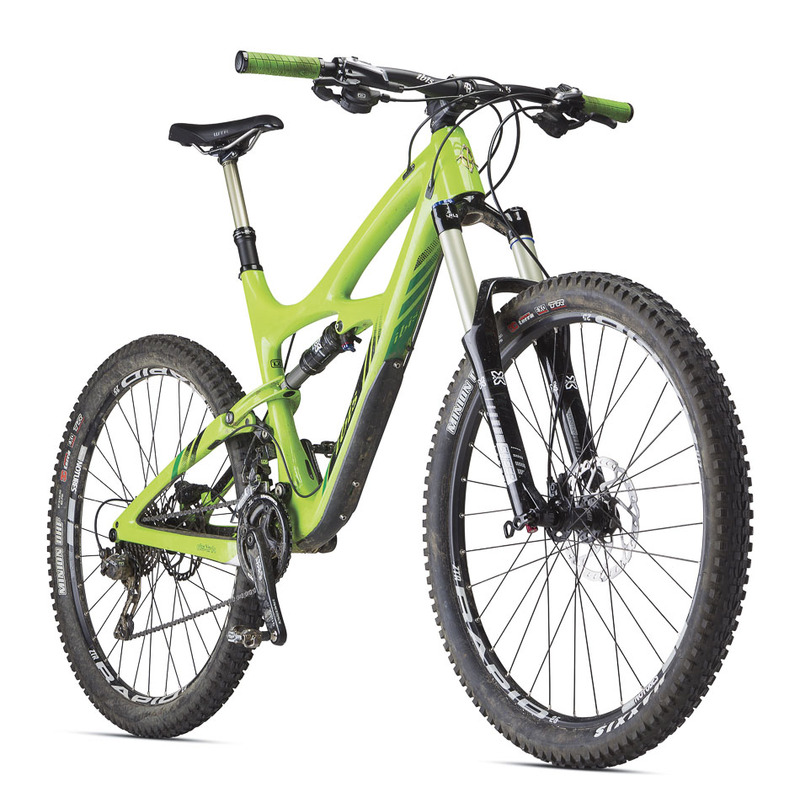 This latest re-boot of Ibis' all-mountain model, the Mojo HD3, proved to be one of the standouts in our annual gear guide. That particular test bike, however, was also saddled with a $7,540 price tag. When a bike costs that much, you kind of assume it should be good. Consider, then, this variation of the Mojo HD3, which bears the same full-carbon frame, but sells for about half as much, thanks to its affordable Special Blend parts kit. If you don't think $3,950 is a bargain (and, sure, it's still a lot of money) remember that the new Mojo HD3 frame sells for $2,900 all by its lonesome. In other words, for another grand you get wheels, brakes, fork, drivetrain–the whole damn enchilada. But let's step away from components for a second and zero in on the chassis because that's really the proposition here. You're investing in the frame and kind of committing to upgrading parts as time goes on. The good news: It's a smart investment. Ibis redesigned the HD completely and the geometry is a big part of that. The toptube grew an inch, standover clearance improved and the seat angle steepened two degrees (from 71.1 to 73.1 degrees). 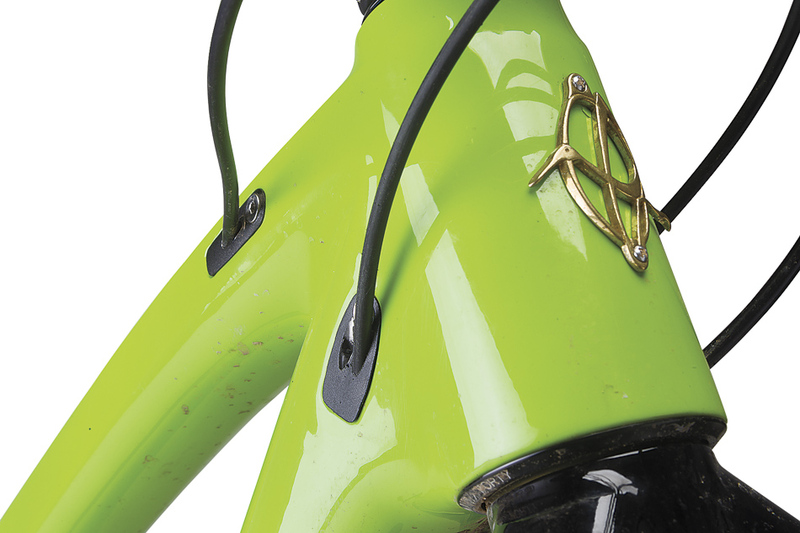 Ibis also bucked trends a bit by giving the HD3 a 67-degree headtube angle. While 67-degrees isn't steep for an all-mountain bike, plenty of models in this niche are sporting slacker headtubes these days. Ibis, however, wasn't interested in making a pure descender; it was aiming for a more balanced kind of all-mountain bike–something that felt as capable on climbs as it does on descents. The Ibis team hit the nail on the head. Put a little power to the pedals and the HD3 rockets up climbs like a much skinnier, cross-country machine. What's more, the traction is unreal. This latest version of Dave Weagle's DW Link suspension system is simply stunning. 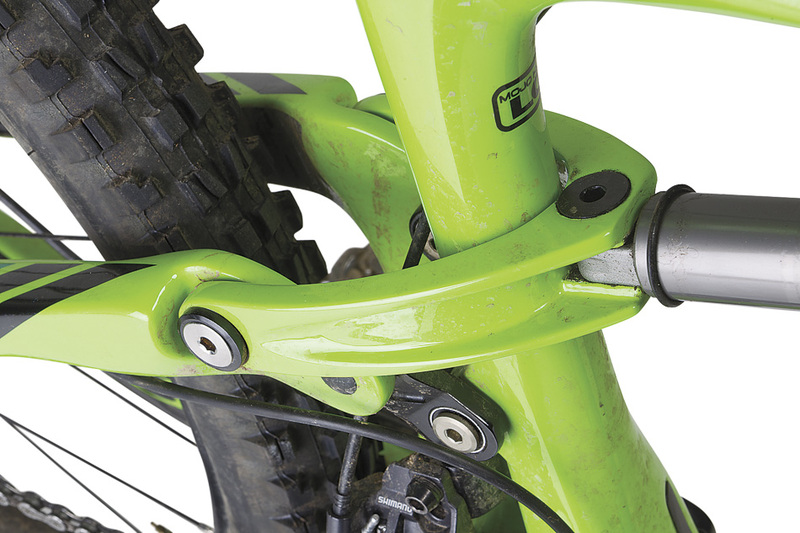 You could use the lock-out lever on the X-Fusion rear shock, but I never felt compelled to. 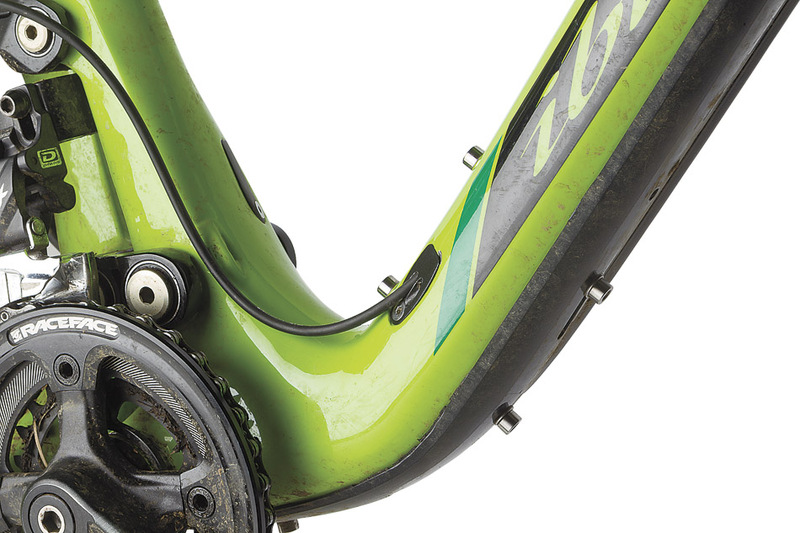 Of course, if you're reading this review, you probably want a bike that excels on descents. At warp-chicken speeds, the Mojo HD3 isn't as stable and confident as some of the slacker 'mini-DH' enduro bikes it competes against. Then again, if your downhill is full of tight turns and requires some finessing, the HD3 is a hell of a weapon. The bike is surprisingly nimble and the excellent suspension has just the right amount of end-of-stroke ramping on big hits. What about those affordable parts? While the X-Fusion's Sweep RL fork is no RockShox Pike or Fox 36 in terms of stiffness, the stroke proved smooth and the damping consistent. The bulk of the Special Blend kit is quite smart–beefy Maxxis Minion tires, Deore brakes, SLX derailleurs, Stan's ZTR Rapid wheelset, Race Face Respond 2X crankset with a bash–solid picks that actually hold up to real abuse. I tossed the skinny 710-millimeter bars and rigid seatpost into a corner of my garage, but everything else was spot-on. If you're looking for the ultimate warp-speed downhiller, there are better options. On the other hand, if you want a burly bike that can handle both big climbs as well as big descents, you need to give this bike a shot. The Mojo HD3 is a contender at any price. Many riders talk about Ibis bikes with a tone of reverence usually reserved for the most exclusive of boutique brands, and such veneration is quite well-founded. Frames such as the newly redesigned carbon Mojo HD3–the third-generation incarnation of Ibis' coveted all-mountain model–are veritable works of art, exhibiting a rare combination of aesthetics and performance attributes. And, as is the case with many sought-after works of art, Ibis bikes are typically associated with hefty price tags. This is certainly true of Ibis' high-end builds, such as the kitted-out Mojo HD3 that our testers praised in this year's Bible of Bike Tests. While this version was undoubtedly worthy of praise, its $7,540 retail price simply puts it out of reach for most everyday mountain bikers. But this doesn't necessarily have to be the case: The new Mojo HD3 carbon frame is available for $2,900, and the company is offering a complete bike with a more modest build–the aptly named 'Special Blend'–for $3,950. While this is still a lot of money, it affords riders an opportunity to buy into a Mojo HD3 that they can happily ride straight out of the box, with the prospect of upgrading select parts over time as they see fit. Though the components that come with the Special Blend are a few tiers down from the top of the line, I found them to be sensible and functional, in most cases complementing the Mojo HD3's inherent strengths. In terms of the HD3's strengths, there are many. Ibis completely redesigned this iconic bike around 27.5-inch wheels, using this opportunity to revamp its geometry in line with contemporary all-mountain standards. The toptube is an inch longer, and the head angle was slackened to 67 degrees (when running the 150-millimeter X-Fusion Sweep RL fork that comes with the Special Blend). Though its 67-degree head angle is still steeper than those of many of the HD3's all-mountain rivals, it gives the bike a nice balance between climbing and descending capabilities, smartly straddling that fine line between the 'trail' and 'all-mountain' categories. In this sense, the HD3 is ideally suited to the type of rider who views climbing as an essential part of the mountain-biking experience–and who doesn't mind sacrificing a bit of descending brutishness in order to climb with speed and precision. This was proven to me time and again on the steep-and-punchy technical climbs of Sedona, Arizona, when the HD3's front end consistently remained obedient while lifting up and over one slickrock-ledge section after another. Adding to the HD3's climbing prowess, the DW-Link suspension kept the rear wheel glued to the ground, giving reliable traction while climbing through patches of loose rock and slickrock alike. And in terms of its pedaling platform, the HD3 is among the best-pedaling all-mountain bikes on the market. My only beefs with the Special Blend had to do with some of the parts, but when one is buying into an HD3 with a view toward eventually upgrading key components such as the drivetrain and brakes, there is hardly much room to complain about the noise that accompanies a double-ring crankset or the lack of modulation when braking. These are issues that will be resolved over time by stashing away money from each and every paycheck–and that's only once you've invested in a dropper post.